Since Aishah wanted to pamper herself this trip, she booked us quite a good hotel. As we were sharing, I didn't quite mind, especially after looking at the great reviews Ambience Hotel received. Located less than 1km from 3 Metro stations, it was pretty convenient. I arrived late Friday night, but felt rather energised upon seeing that there were a few convenience stores and some restaurants within walking distance. In fact, my first impression of Taipei was that it resembled downtown Kuala Lumpur. I'm thinking probably because KL has its roots in being a Chinese mining town, the architecture and layout looks more practical than pretty. The look and feel were so similar even Aishah commented it reminded her more of Muar. If the signboards had also English and Malay and maybe Tamil words one would have thought we were back home. Ambience Hotel seemed to be a hit with Japanese tourists, since they had Japanese-style toilets with the works. 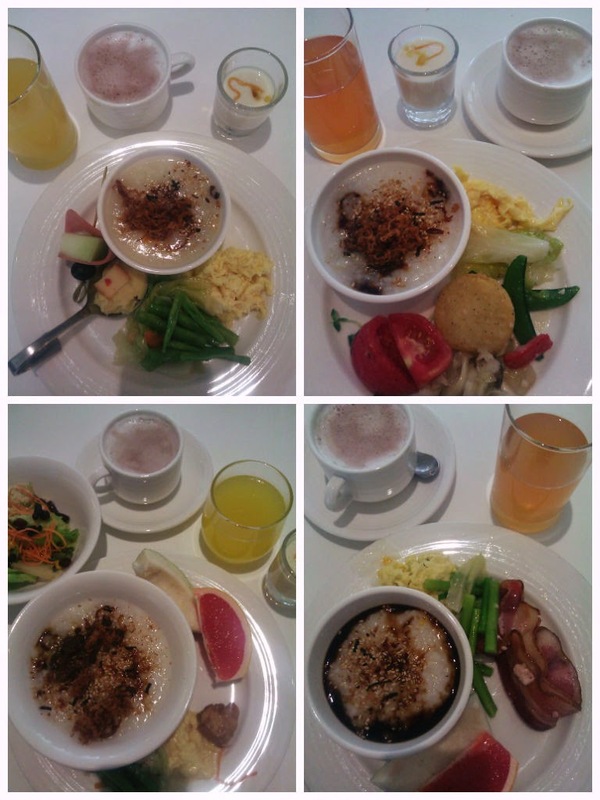 As for me, I was happy enough with the breakfast that came with the room. Pity my poor stomach who had to revert to simple Milo after treating myself to proper breakfast during that long weekend. After all, I needed the energy for all the long walks around the city under that sweltering summer heat. But I think I overdosed on soy sauce on my last porridge! 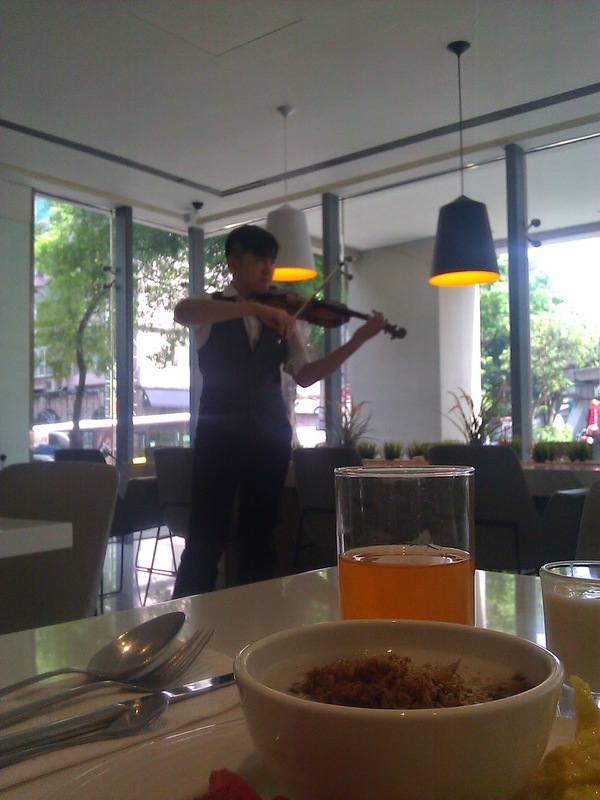 Some of the reviewers found this strange, but on alternate days there is a live performance during breakfast. On that particular day, I was seated right in front, so you could say I felt like he was performing just for me. One of the main reasons I chose Taiwan was for the food. I was hoping Taiwan would have better Chinese food than here. I got exposed to Taiwanese food through the Shihlin Taiwan Street Snacks in MV, so I was looking forward to trying the real thing. 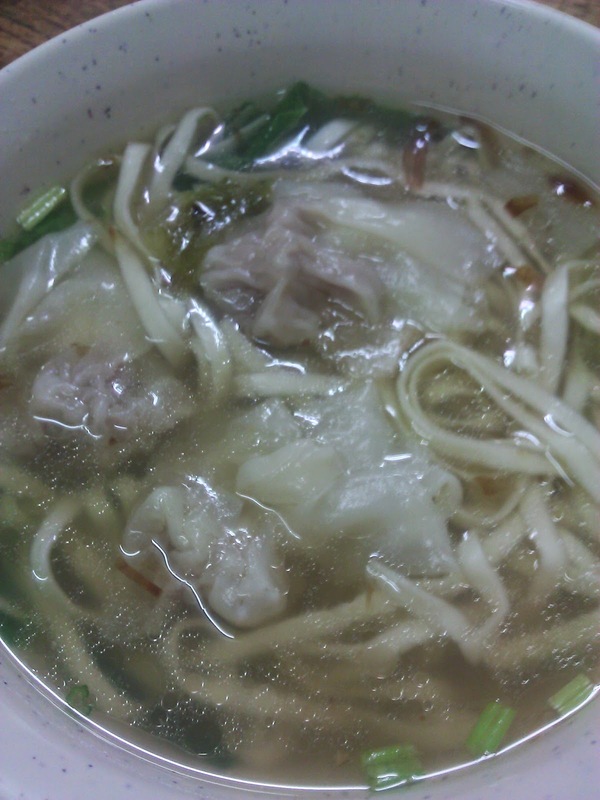 This pork noodle reminded me a little of wan tan mee, soup version back home. This was in the purportedly famous Jiufen Old Noodle Shop (九份老面店) which had people queueing up to have a taste of its noodles. I must say I love the soup though. 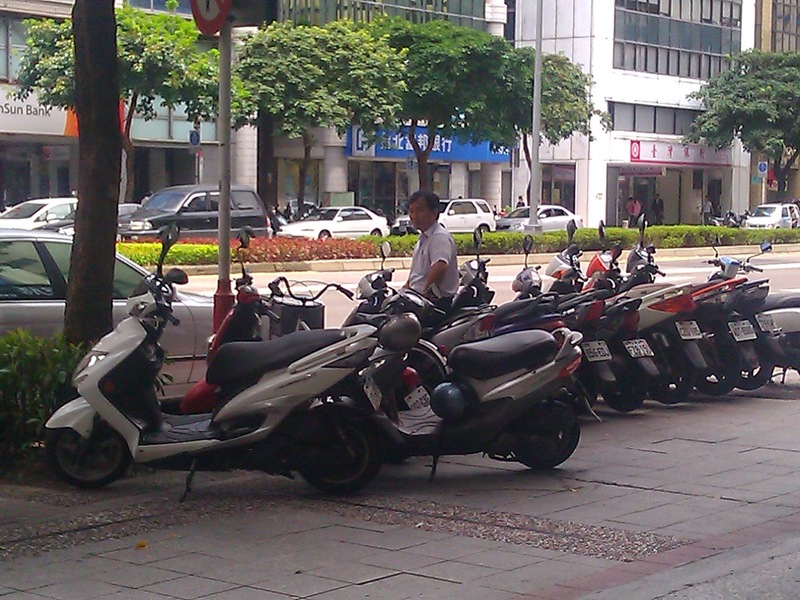 One of the first things I noticed was that scooters were in abundance compared to motorcycles. When I met up with Kenny who unexpectedly brought me on a ride on his scooter, I had the opportunity to ask him the reason. Since scooter had more space for belongings, this was more popular, and hence the main manufacturer decided to build these more. Guess it made sense, as I watched a suited guy remove his coat, folded it and put them under the seat, and then hung his briefcase below the dashboard. I felt Taipei was pretty safe, even as we walked back to our hotel late at night. However there seems to be a lot of CCTVs in many places, even more than usual. There's one here at the entrance just above the seats allocated for the needy. 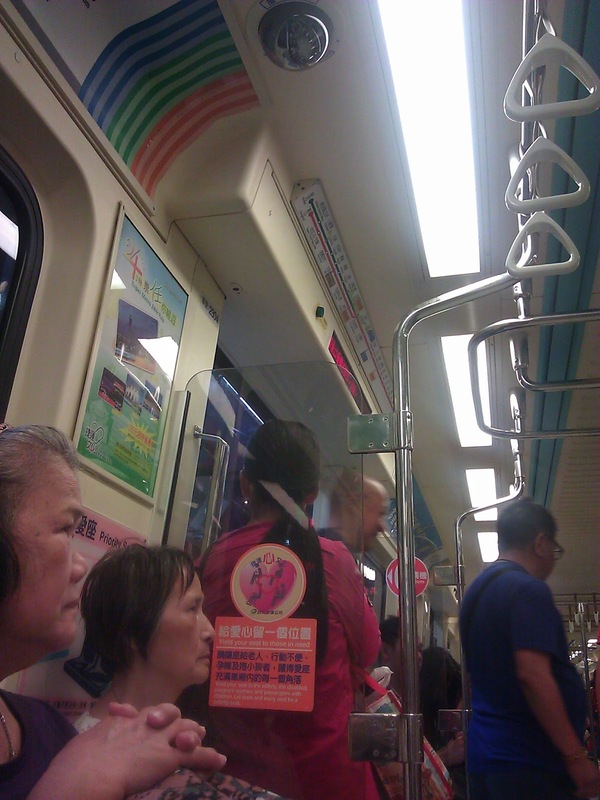 I wonder if that's why these seats are usually empty even during rush hours. When we got on a really old crickety bus to outskirts Jiufen, there were at least 2 CCTVs in the bus! These 2 were in front, and then I noticed a 3rd one at the back of the bus. Then I wondered, if that helped in getting people to behave. summer getaway here i go?